I have twenty years invested in Ryan Adams. He is one of my top-ten music acts. There was a time in Adams’ career when the material came out too frequently. Now it comes out at a digestible pace (but still plenty fast), which is great – now I actually anticipate an Adams’ release. I had high expectations for this “divorce album.” It is a cliché, but songwriters are inspired by life’s valleys. This post has been sitting in draft status for a few months – it is time to get it out the door. I was reminded that it was an unfinished when I recently discovered that a companion album, Prisoner B-Sides, has been out since late April. In the interest of finishing this post I will pass on Prisoner B-Sides. I guess Adams is still capable of drowning his fans with content. Each song on Prisoner reflects on love lost. The guitars speak as much as the lyrics. As always, Adams crafts beautiful sonic soundscapes and is a fascinating pop artist. He is a music-head fanboy (Google any of his interviews). He can play in nearly any style, yet he is wise enough to have his own voice. He is fearless about borrowing, yet stays original. The album opens with a single: “Do You Still Love Me.” It is a classic 80s rock with a Tom Petty feel – an arena anthem. It is a post break up song where the raw emotions of the performance speak as much as the lyrics. “Doomsday” opens with a country harmonica intro. This is Ryan Adams at his country rock best. The narrator is committed to the relationship, but it does not sound like his partner is on the same page. “Haunted House” is Adams’ Tunnel of Love era Springsteen song. The narrator, once part of a couple, must now live alone in the former love nest. It is too much for the one left behind. “To Be Without You” ends side one. It has a 70s acoustic pop vibe. Our narrator is at the end of his rope, he is hopelessly heartbroken. “Anything I Say To You Now” is guitar paradise. A half-dozen rich guitar tones are going on in this song. The guitar tones remind me of the guitar great Eric Johnson. The narrator is trying to write an apology, but the words end up in a game of wastepaper basketball. “Breakdown” is a very direct song. The narrator is losing it. What I like about the sound of this song is that is not chaotic or explosive, rather it is simmering away. “Tightrope” is a simple guitar and voice, until the bridge – then a sax solo comes in and the listener is transported to a higher plane. Again a Springsteen vibe. “We Disappear” has a wonderful swagger to it. It is riff heavy and has some of the coolest guitar on the album. It is brilliantly lo-fi in a Replacements sort of way. As bleak as this album is, Adams performance (especially the guitars) elevates the misery to something beautiful and redemptive. Our hero is broken, but not destroyed. 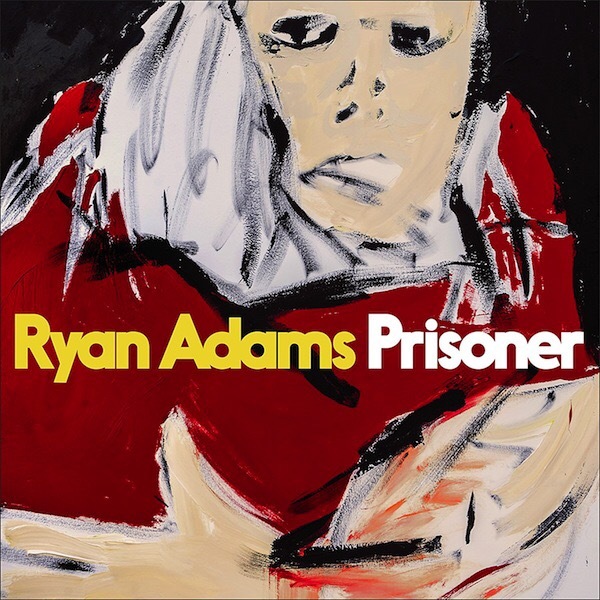 Ryan Adams is in a good place in his career. His craftsmanship is perfect – he just relaxes and plays. He has no pretensions and he has nothing to prove. Ryan Adams just is. Yes! Love this album, even six months on I think it’s likely to be album of the year for me. I don’t think anything else released thus far in 2017 has such an overriding consistency of theme / message and quality. Not a duff moment. I get to see him live in a few weeks. I wore out Whiskytown and his first few albums. Time for CB to pick up the slack. You mentioned it in your take. Some musicians are just to prolific to keep up with. I really enjoyed this post. I was actually fortunate enough to see him this weekend – you can see my review here!